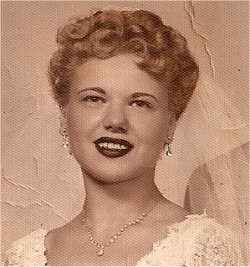 My mom died at 5:48 a.m. today of a heart attack. She had a host of chronic medical and psychological issues that culminated in her being admitted to the hospital at the end of January for breathing problems. A week later, she was transferred to a rehabilitation facility to work on her mobility and respiratory issues. She was supposed to go home tomorrow. Twice during her stay in rehab, she was transferred back to the hospital for pneumonia, then intestinal pain. As we were visiting her during the first transfer back, suddenly, the first few bars of Brahms' Lullaby chimed over the PA system. Mom said they played that whenever a baby was born. At first it irritated her, she said, since it was an unexpected sound blast (though gentle) that disturbed her rest. But then she came to appreciate its whimsical heralding of new life and actually got a kick out of it. When they called us this morning just after 5 a.m. to say she was going back to the hospital yet again, we didn't panic -- been there, done that. This time, she was having shortness of breath, and so the ambulance was on its way to pick her up and take her to the hospital a few blocks away. An hour later, another call. While in the ambulance, Mom went into cardiac arrest. They started CPR and continued resuscitation attempts at the ER. They were unsuccessful. As we stood over her small, frail body, waiting for the priest to arrive, Brahms' Lullaby gently sounded over the PA system. in the skies stars are bright. when you wake with a yawn." I'm so sorry for your loss. It seems the words of the Requiem go perfectly with the Lullaby. And how beautiful and glamorous your dear mother was! Prayers for her and for you in your grief. Thanks for your prayers, Julie -- that means a great deal!! We lost my father nearly 18 months ago. He had had dementia for years. Twice he had got very sick and we had gathered to say our good byes only to have him reco ver. Then one night after a really good meal he died alone. It was a big shock to us all because we thought we would always have time to gather and be with him at the end. I am very.sorry for your loss. I will be praying for you and your family. Lisa -- my deepest sympathies. You and your family are in my prayers and I will pray for the soul of your mother at Mass. Lisa -- my deepest sympathies. You and your family are in my thoughts and prayers and I will lift up the soul of your mother at Mass today. Oh Lisa, I am so sorry for your loss. Prayers for you and yours. I just read this. So sorry. Even though it's long after the fact, tomorrow at Mass I'll pray for yu and her.